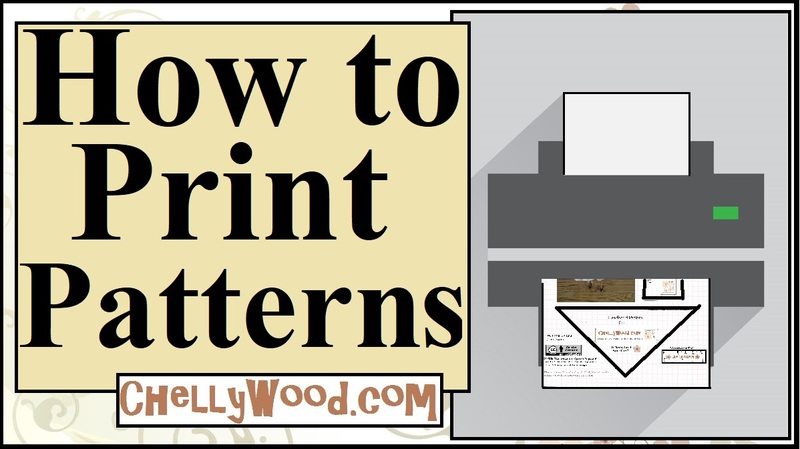 Visit ChellyWood.com for more FREE printable sewing patterns and tutorials. Here’s the second free printable sewing pattern for making my easy-to-sew stocking cap (also called a beanie or –in Canada– a tuque /touque). I used polar fleece for my stocking cap, and fleece is a very easy fabric to work with. This pattern project is listed as having three flowers, on my difficulty scale. So it’s not particularly hard to make, but it’s not for the absolute beginners either. Do you see the arrow sticking out of the pattern? That shows you where to connect this pattern to yesterday’s pattern. If you’re not sure what I mean by this, tomorrow’s tutorial video will offer a visual demonstration. For my regular followers, hang in there. By the end of the week I’ll post the results of the poll you may have participated in, deciding which dolls will be the focus of my free doll clothes patterns in 2018.